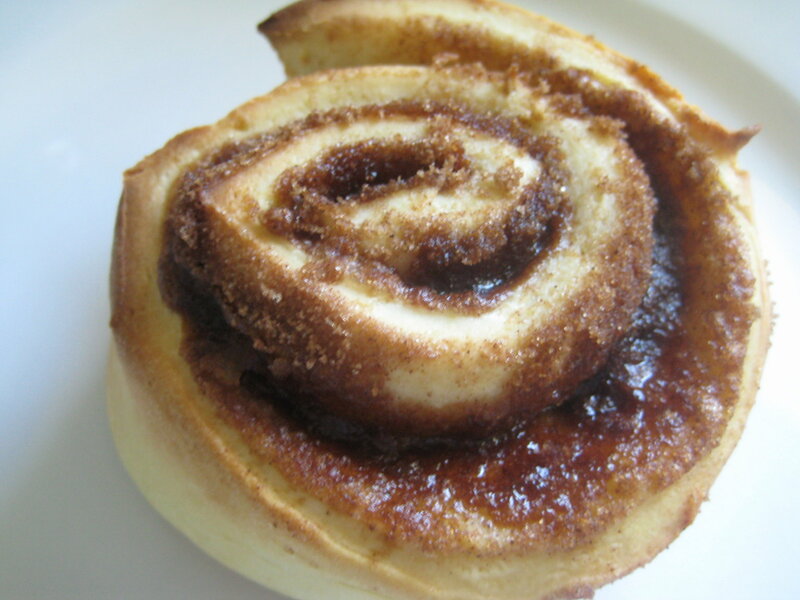 When I traveled in the US I loved the smell coming from the Cinnabon stores baking warm delicious cinnamon scrolls and a while ago a came across a knock off version on My Tartelette. They were pretty delicious. 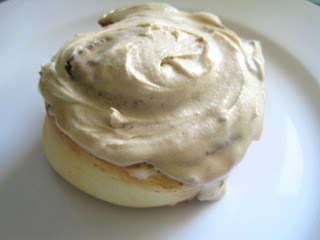 Then I came up with the idea to add coffee to the icing, and now they are not just delicious they are super dooper delicious. I made these ones this morning with no special equipment in 2 hours (most of that time is resting time) and they were a perfect breakfast, just imagine them on a chilly morning with a cup of hot coffee. 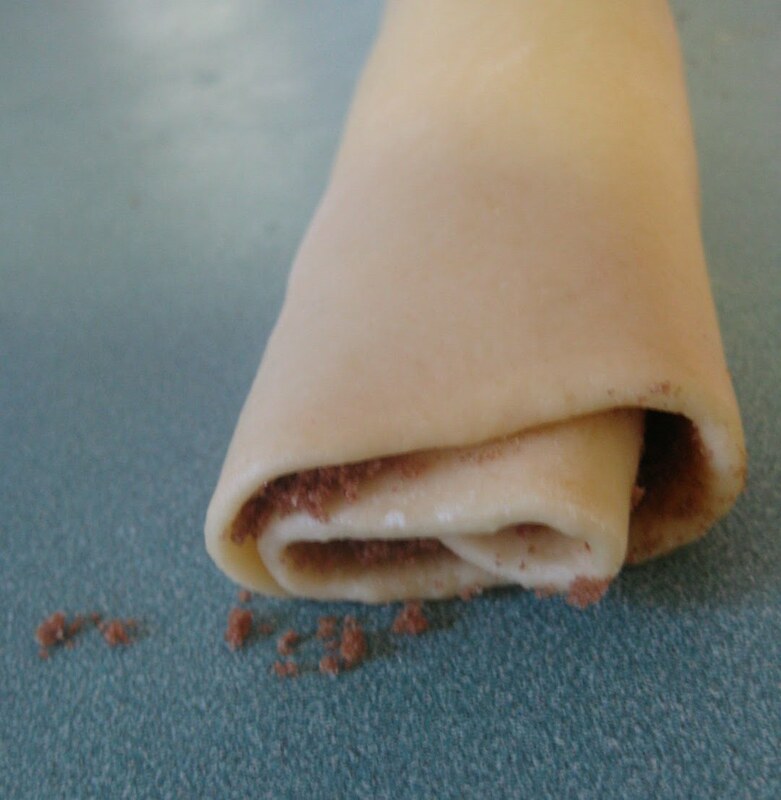 Sadly my coffee machine broke a few months ago and I have yet to buy a new one so I have used instant coffee in this recipe and had to eat the scrolls on their lonesome. I am hoping my luck is about to change however, Not Quite Nigella has a competition at the moment to win a Nespresso coffee machine at her blog and I have my fingers crossed. 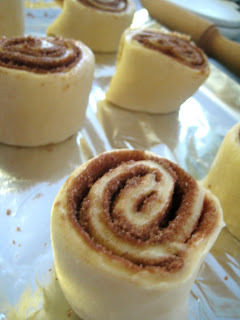 The recipe make 12 scrolls, in the past I have reheated the scrolls a day later in the microwave and they are still good. This recipe adapted from My Tartelette. It does use a lot of bowls so be prepared for a bit of cleaning up. Dissolve the yeast in the warm milk in a large bowl, let rest for 5 mins while you sift flour and measure out other ingredients. 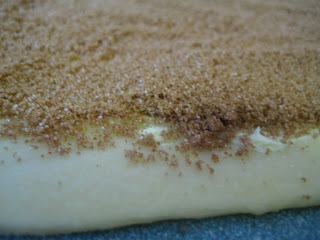 Mix together the yeast mixture, sugar, butter, salt & eggs. Add flour and mix well. 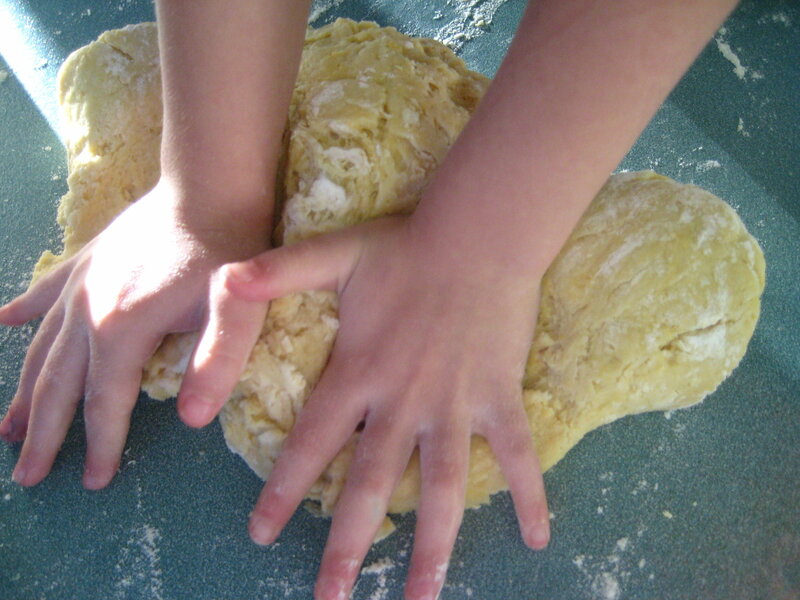 Knead the dough into a large ball, using your hands lightly dusted with flour. If you have kids let them at it, my 5 year old daughter helps out with kneading all the time. I break the dough in half and we each knead for a while and then I swap the halves over so they get kneaded evenly. Put in a bowl, cover, and let rise in a warm place about an hour or until the dough has doubled in size. It's winter here at the moment so I popped mine into the oven at the lowest setting with the door ajar. 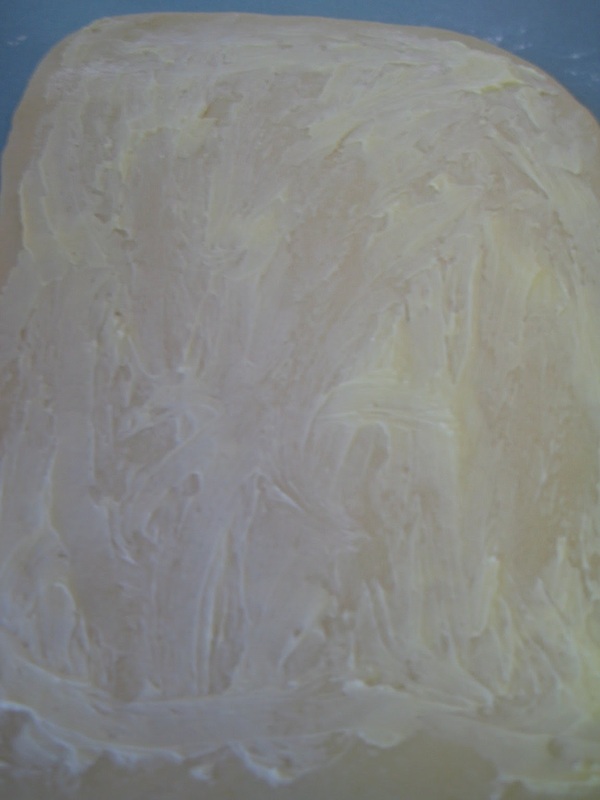 Once doubled in size roll the dough out on a lightly floured surface flat until it is approximately 54 cm (21 inches) long and 40 cm (16 inches) wide. It should be about 1/2 cm (¼) inch thick. Working carefully from the top (the long side ), roll the dough down to the bottom edge. Cut the rolled dough into 4 cm (1 1/2 inch) slices and place 6 at a time, evenly spaced, in a lightly greased baking pan. Let the rolls rise again until doubled in size (about 30 min.). Bake for 10 to 12 minutes, or until golden on top. While the rolls bake, make the frosting by mixing the butter and cream cheese in a large bowl with an electric mixer on high speed. Add the powdered sugar and mix on low speed until the sugar is incorporated. 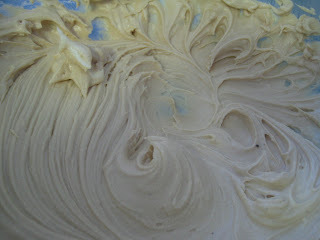 Dissolve the coffee into the milk and add to the cream cheese mixture with the vanilla. 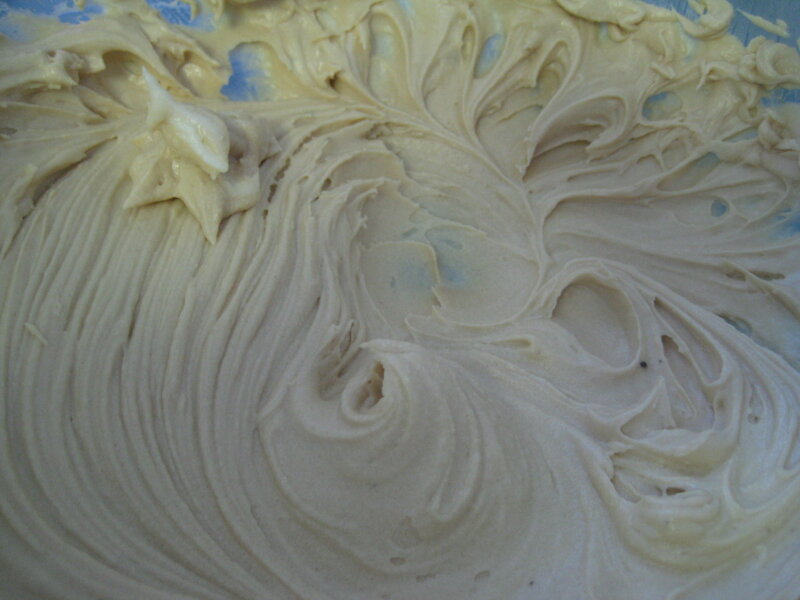 Mix on high speed again until the icing is smooth and fluffy. 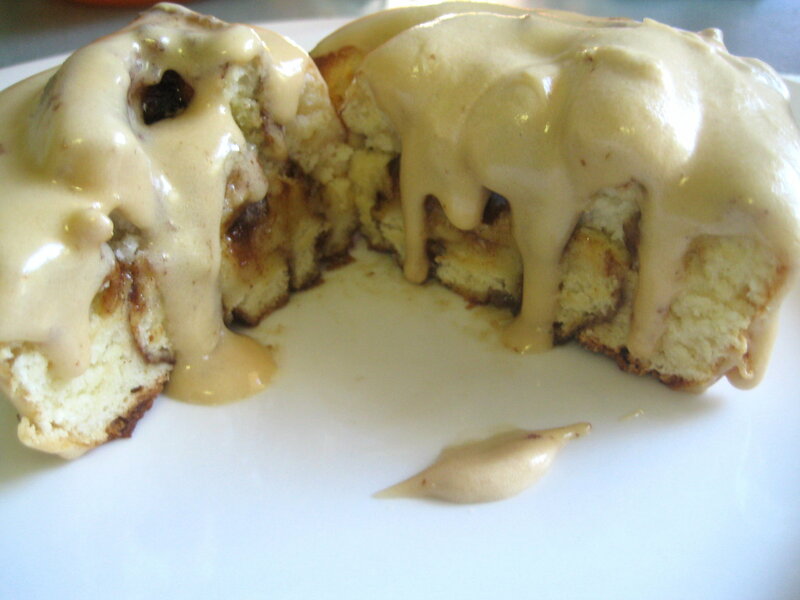 They look scrumptious and I love how liberally you've applied the icing-that's the kind of thing I would do too! Good luck with the competition too Linda! Oh my gosh - these were SOOOO delicious when Linda made them when I stayed over last! The smell instantly took me back to the time I was in Vancouver, where every shopping mall you walked into was full of the wafting delicious smell of baking cinnebons... Too good! Thanks everyone - I think this for me is one of the easiest ones to overindulge in. Thanks - I know what's with that - there used to be a Cinnabon on Albert st but it did not last very long at all. I can not stop eating these when I make them. So happy you liked this recipe.